SATURDAY SIX: Six Reasons March is Going to be AWESOME! Our long national nightmare is over. Jock Lindsey’s Hangar Bar, one of the coolest new additions to Disney Springs, finally has more souvenir mugs in stock. 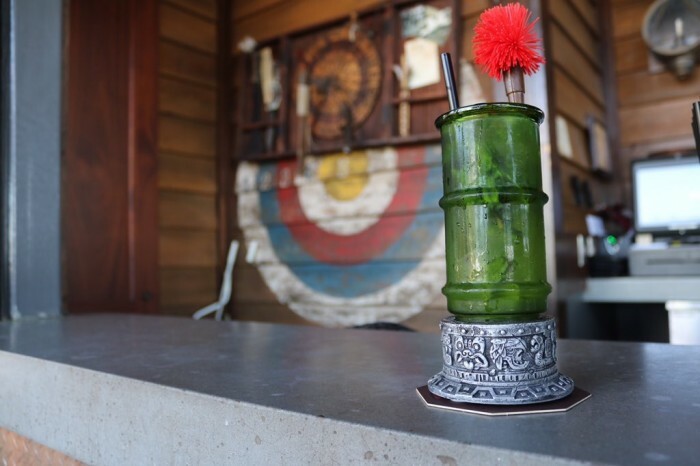 The Hangar Bar opened last September, and it debuted having a menu filled with pictures of unique souvenir mugs. There was only one catch: none of the mugs were available. Late in the year, the awesome Cool-headed Monkey mug arrived but nothing else. 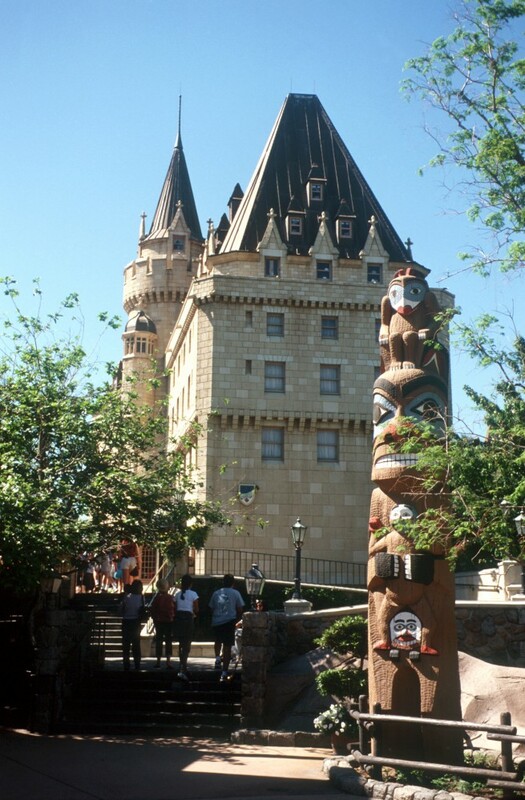 In March 2016, the clouds lifted, and new souvenir mugs are now in stock! Added to the list of available mugs are Reggie’s Revenge and the Hovito Mojito.. The cool mugs, unique stirrers (including a python snake and a blowdart), and a multitude of coasters make the Hangar Bar one of the best places at WDW for collectors. 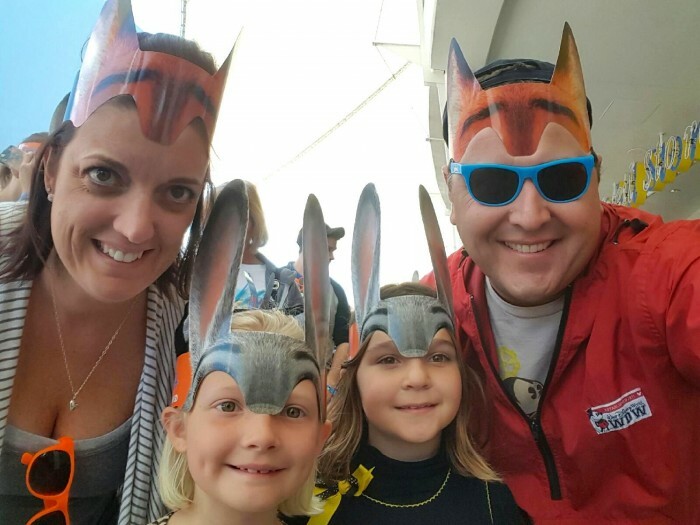 Having just made its national premier yesterday, Disney’s newest animated film Zootopia is already wowing both critics (with a shockingly high 98% fresh rating on Rotten Tomatoes) and audiences alike. 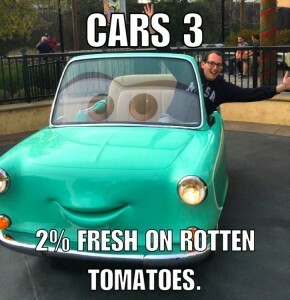 Since Disney bought Pixar, the two companies have seemed to go in opposite directions. The once flawless Pixar has been criticized for churning out sequels and even produced its first ever “flop” with last Fall’s The Good Dinosaur. Meanwhile Disney animation has been killing it with an incredible run that includes Wreck It Ralph, Big Hero 6 and the world wide phenomenon Frozen. 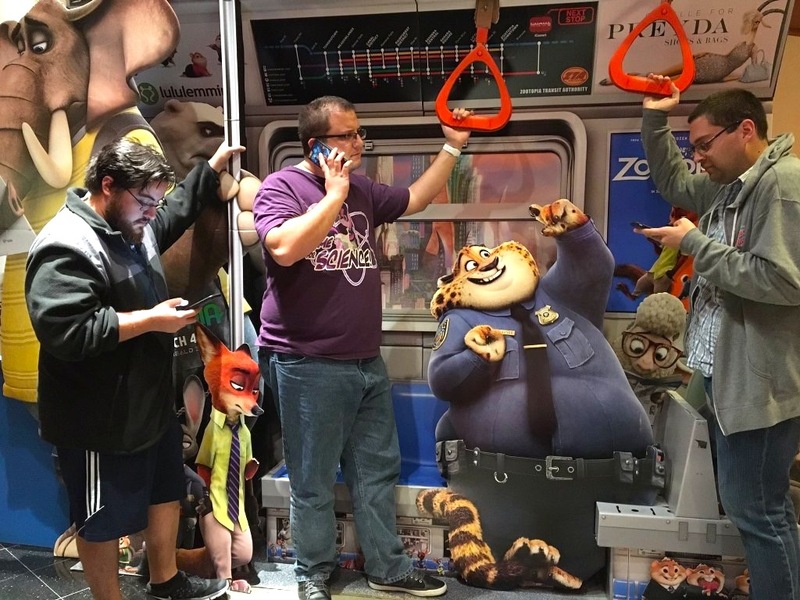 Early reaction to Zootopia by the fans are overwhelmingly positive, and right now you’ll be able to catch the two main stars of the film at both the California and Florida parks. If the box office of the film matches the height of that audience score, we just may see more Zootopia in the parks sooner rather than later. 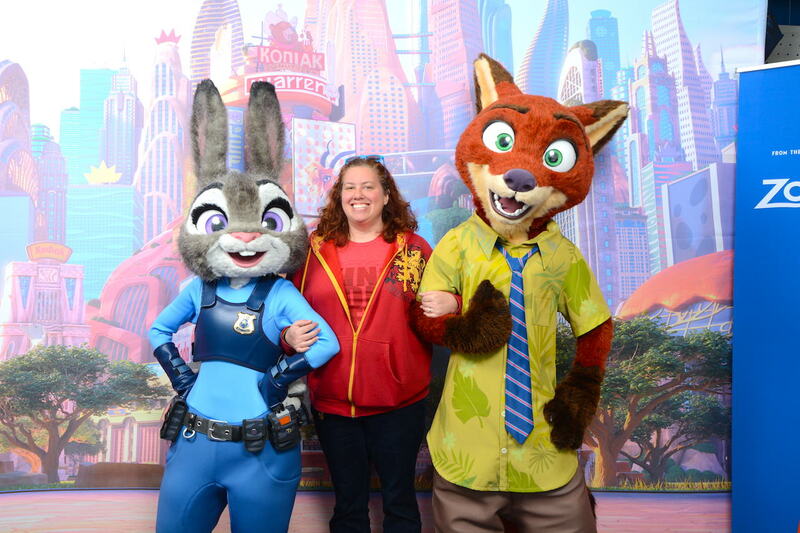 Judy Hopps and Nick Wilde posing with a true character, the SATURDAY SIX’s own Megan Stump. A hit with families, Zootopia is already being talked about as a true Disney classic. 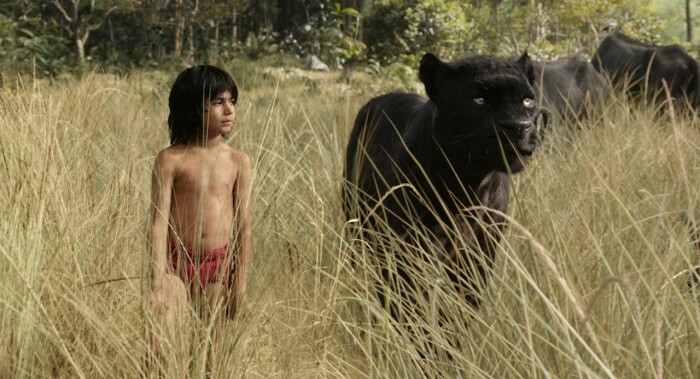 Speaking of Disney movies….While the biggest news coming out of Disney’s Hollywood Studios is Jim Hill reporting a possible name change to Disney’s Cinemagic Kingdom, on March 18th something else comes to the park as One Man’s Dream becomes host to a preview of the upcoming Jungle Book film. 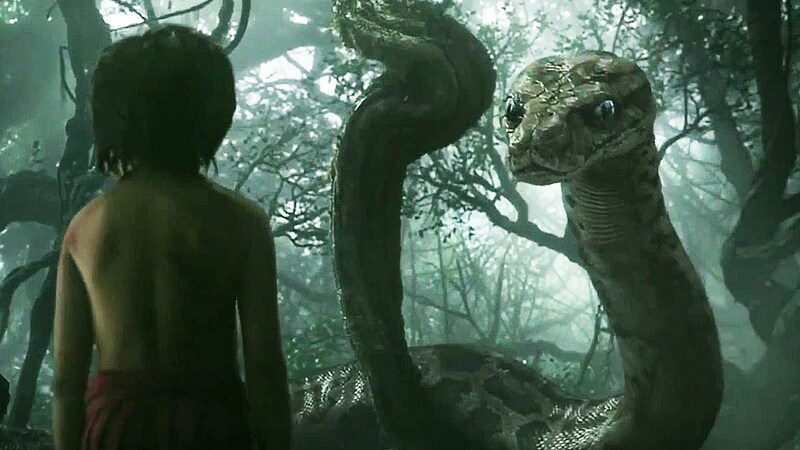 We here at the SATURDAY SIX are generally not huge fans of Disney’s live action remakes – in fact we’d rather watch a marathon of Tomorrowland/John Carter/Mars Needs Moms instead of seeing a single frame of Alice in Wonderland 2: Through the Looking Glass – but the Jungle Book looks, dare we say it, great? After Elf, Iron Man, and the recent Chef, we’ll follow director Jon Favreau anywhere, but the Jungle Book looks like a home run. On St. Patrick’s Day, we all have a little Irish in us, right Mickey? 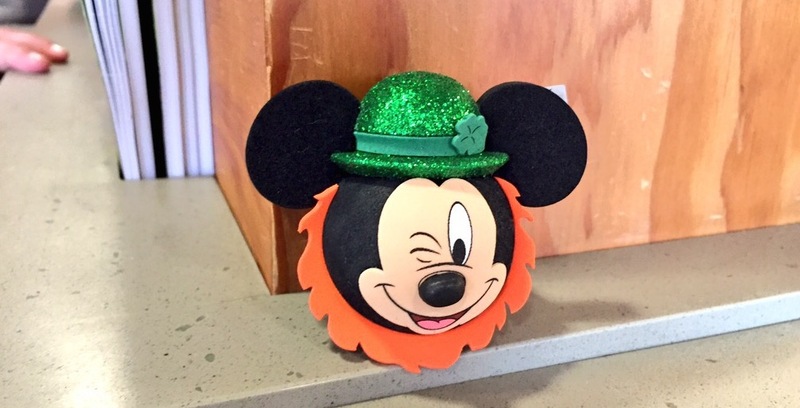 March 17th means St. Patrick’s Day and both Disney and Universal have you covered. Starting on March 11th and running through to the 17th, Raglan Road in Disney Springs presents its Mighty St. Patrick’s Day Festival. The restaurant is bringing over several musical acts from Ireland, and will have activities for the whole family. 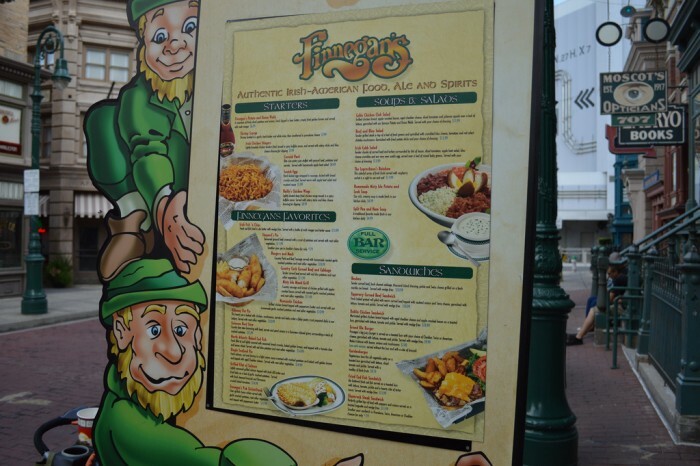 Meanwhile over at Universal you’ll want to stop by Pat O’Brien’s in CityWalk as well as Finnegan’s in Universal Studios Florida. 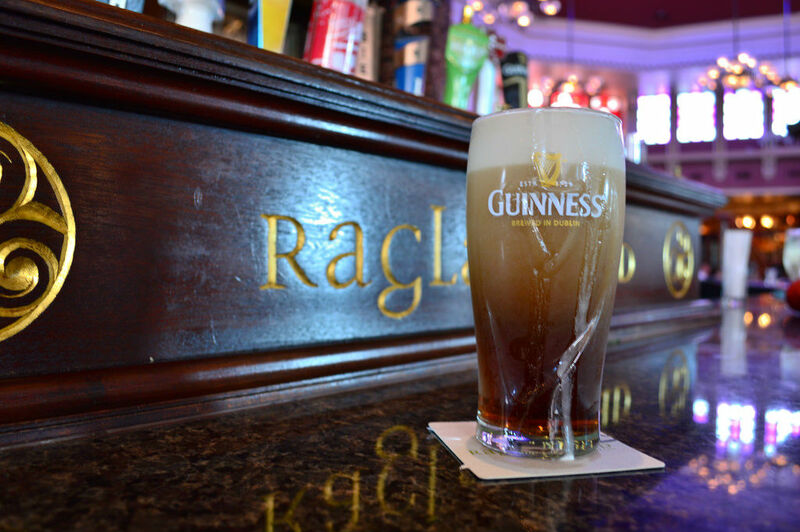 Both are great places to go during the rest of the year, but become extra special on St. Patrick’s Day. Have a Hurricane for us! 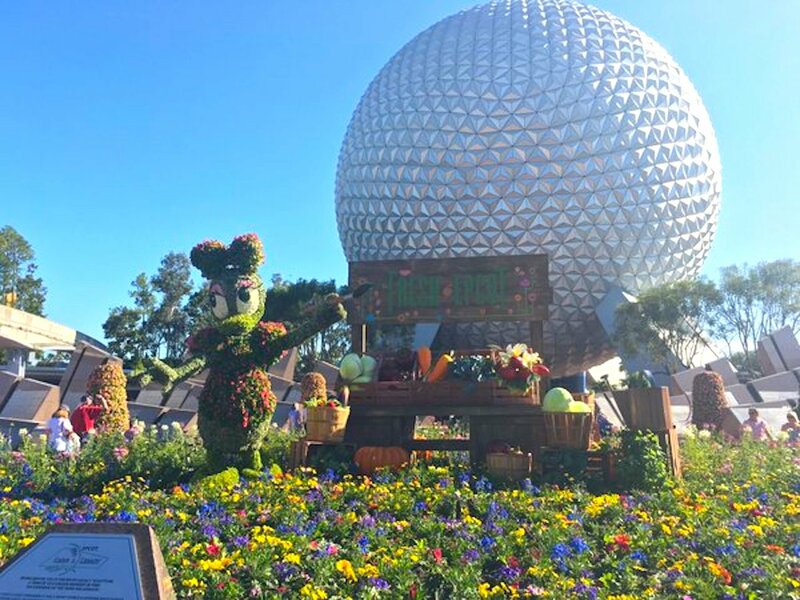 While it doesn’t get as much love and attention as the International Food & Wine Festival, Flower & Garden is starting to come into its own. As always, the topiaries are worth the price of admission by themselves. 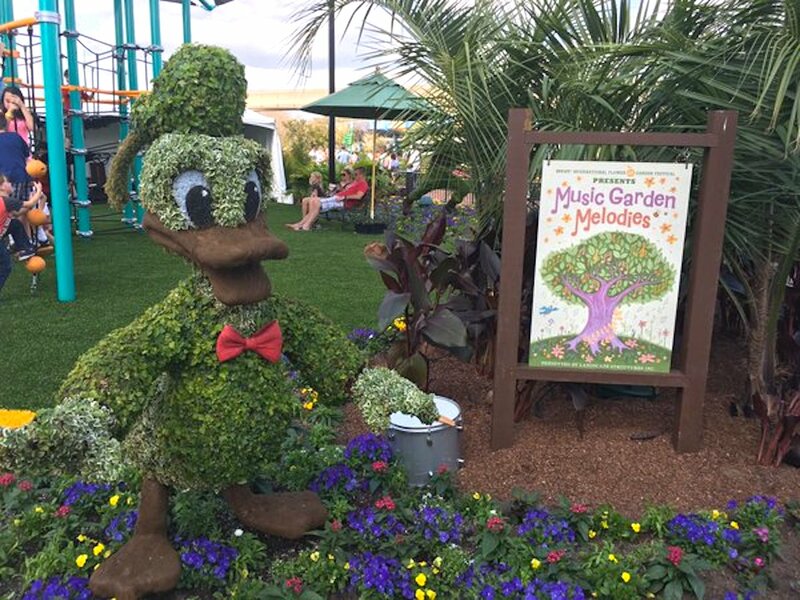 This year includes new topiaries featuring Ranger Mickey (with Chip & Dale), Donald Duck (with Huey, Dewie, and Louie) and Minnie Mouse & Pluto. 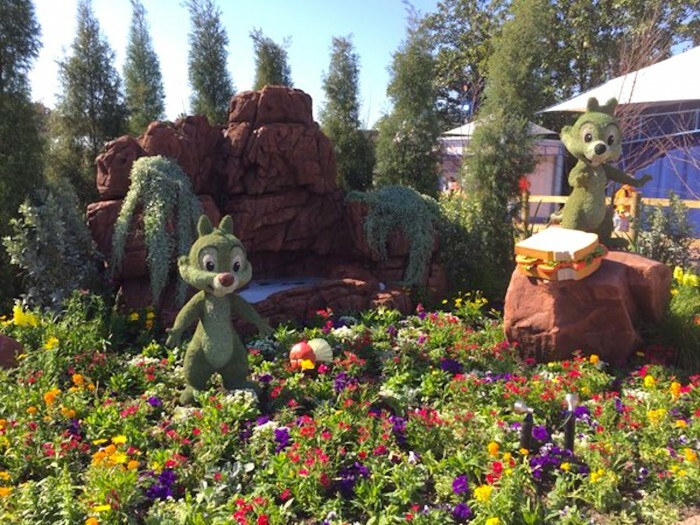 They of course join our returning favorite topiaries such as Peter Pan, Hook, & Tick Toc Croc, the Lion King, and Bambi, Flower & Thumper. 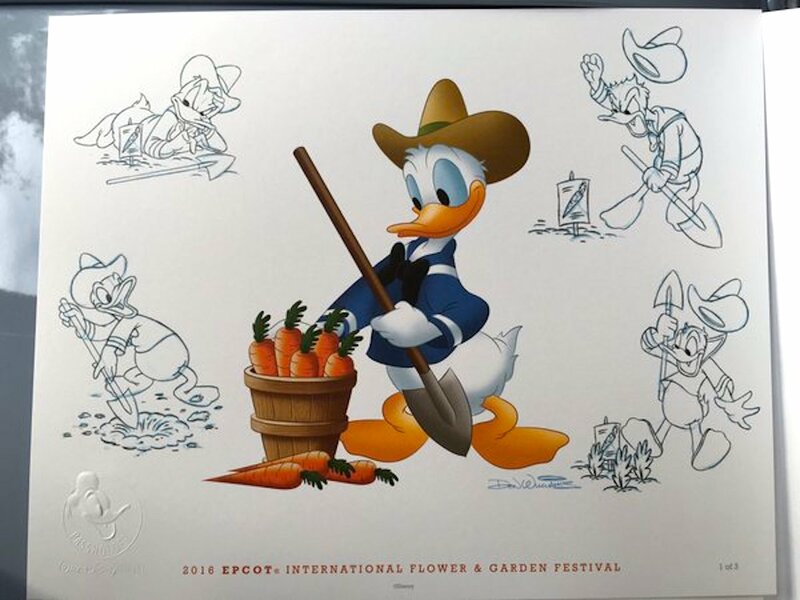 The event merchandise this year is fantastic, but where Flower & Garden has really stepped it up over the years is in the Outdoor Kitchens. We’re starting to get some better selections than at Food & Wine, and there’s almost always much less of a wait. You gotta love the Smokehouse by the American Adventure pavilion, frushi in Japan, and the Fresh From Florida booth featuring (among other things) Feast of Flowers Farmhouse Ale by Florida Beer Company, the brewery behind Universal’s Duff beer as well as the exclusive brews inside the Wizarding World. Flower & Garden now runs for three months (ending May 30th) and YOU NEED TO GO. In June of 2012,when Cars Land opened in Disney California Adventure, guest’s jaws were on the ground. The stunning rock work of Cadillac Range, the amazing Radiator Springs Racers, and the incredibly fun Mater’s Junkyard Jamboree were huge hits right out of the gate. Unfortunately one part of the areawasn’t quite like the others, and Luigi’s Flying Tires ended it’s run in the parks less than three years later (Luigi’s now resides in the Disney Dump, continuing to break the ankles and confuse anyone who tries to ride it). 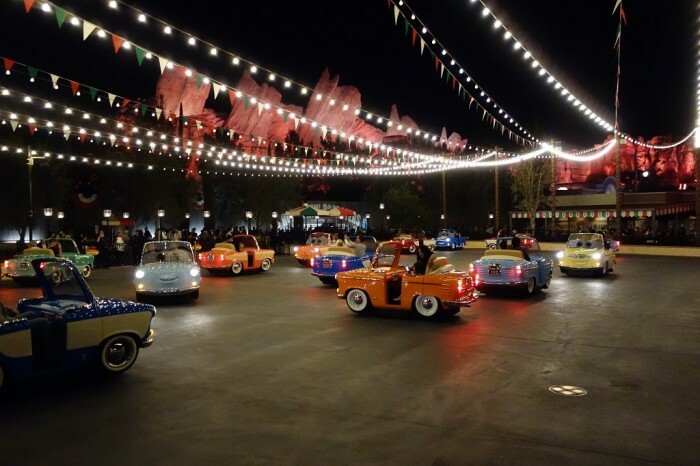 On March 7th, Luigi’s Rollickin’ Roadsters takes the place of Flying Tires, and our own Guy Selga was able to check out the attraction during Annual Passholder previews. 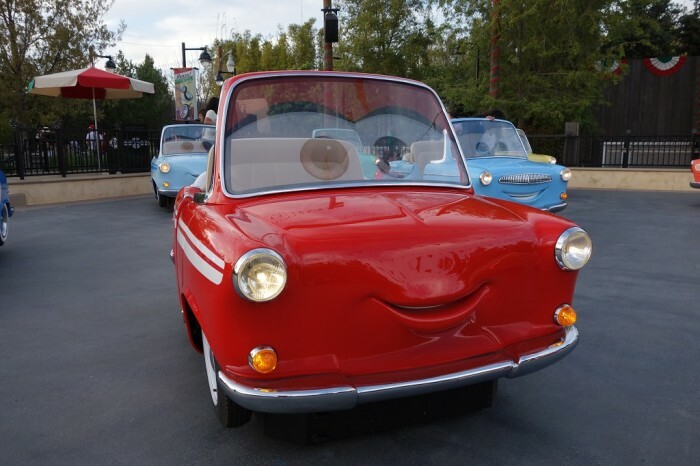 It’s fun, charming, and how cute do these cars look?! Guy Selga, making audiences long for the more subtle humor and wit of Larry the Cable Guy. Special Thanks to crack staff photographer Brandon Glover, Snake Charmer Felipe WWOHP, Incredible Disney Photog Dirk Wallen (from Walt Disney World News Today crew: one of the absolute best sites around for breaking WDW news and rumors), Master of the Humble Brag Tom Corless, Apple fanatic Jose Castillo, and blogger to the stars Megan Stump for their invaluable assistance with this article. Be sure to also check out Brandon on The Park Blogger podcast with co-hosts Aengus Mackenzie and Brian Carey. 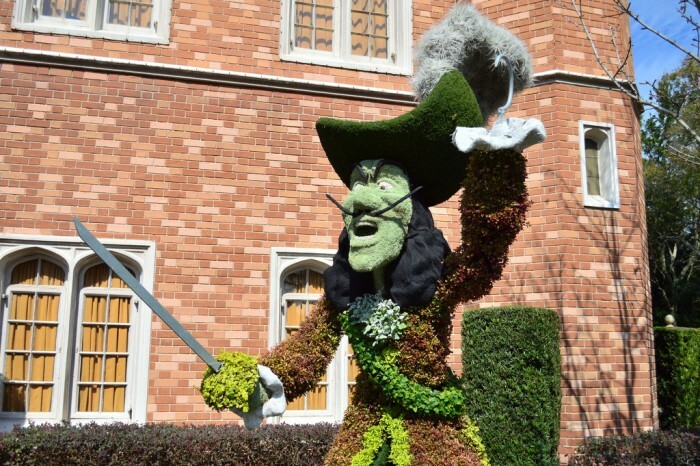 I like the style and enthusiasm of this new monthly post: exactly the optimism I feel about Disney in general! Plus, stuff I didn’t know before. Thanks again, Derek! 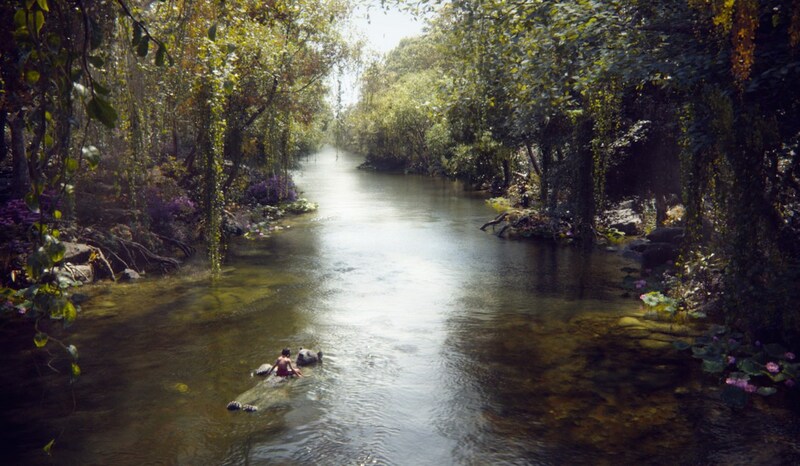 Copyright © 2019 TouringPlans.com Blog. All rights reserved.